This modern asymmetrical design was born out of a need to maximize living space on a small plot as well as an immense amount of creativity from Nigel Parish of Splyce Design. 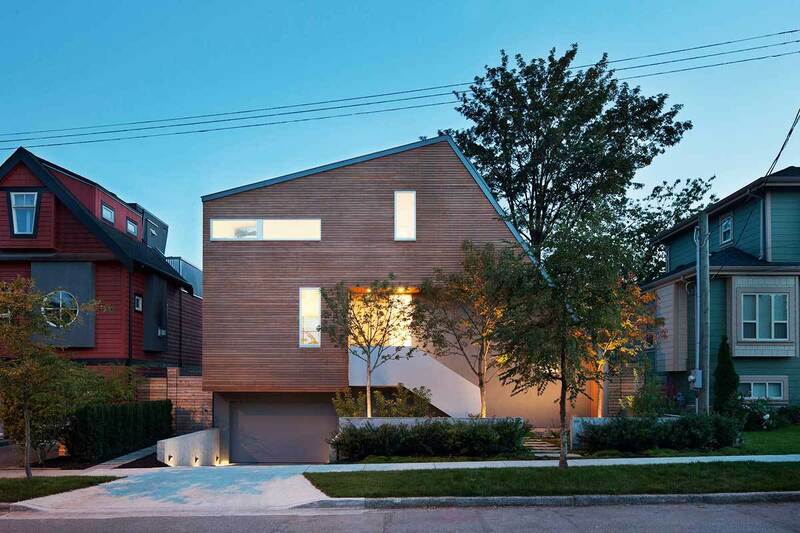 In the Vancouver's densely populated east side privacy can be an issue. Strategically placed windows and skylights maximize natural light without ever leaving the residents exposed. 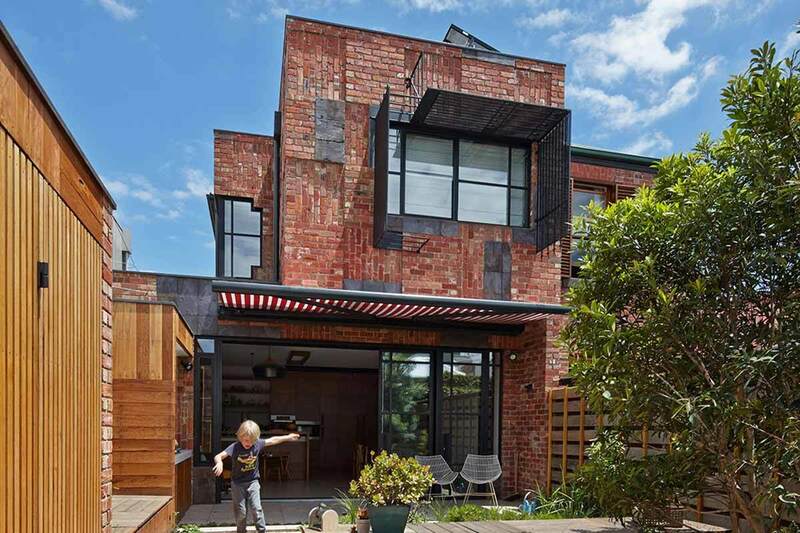 Wood slats left with a natural stain make up the bulk up the home's façade and add a great deal of warmth and coziness to what would otherwise be too cold and modern for the area. We love tiny houses that inspire you to live smaller! The Vanglo House was completed in 2024... 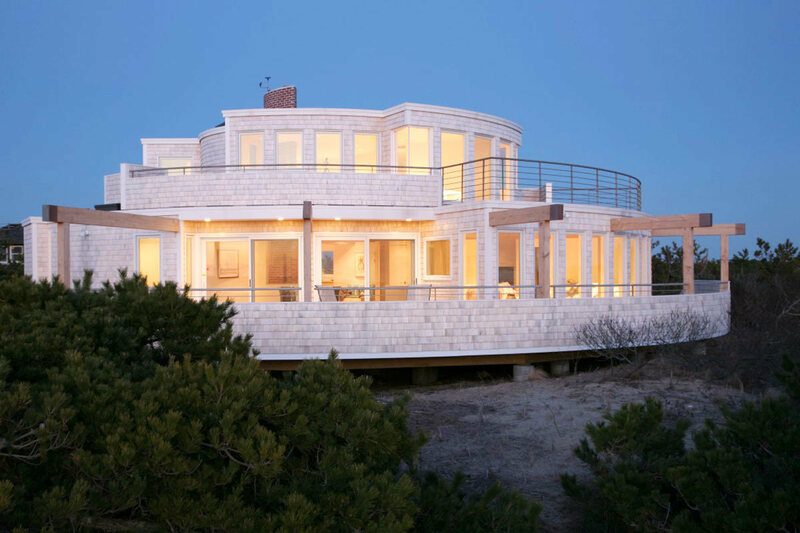 I mean 2014, but this stunning home from LWPAC could just as easily have been built a decade from now. 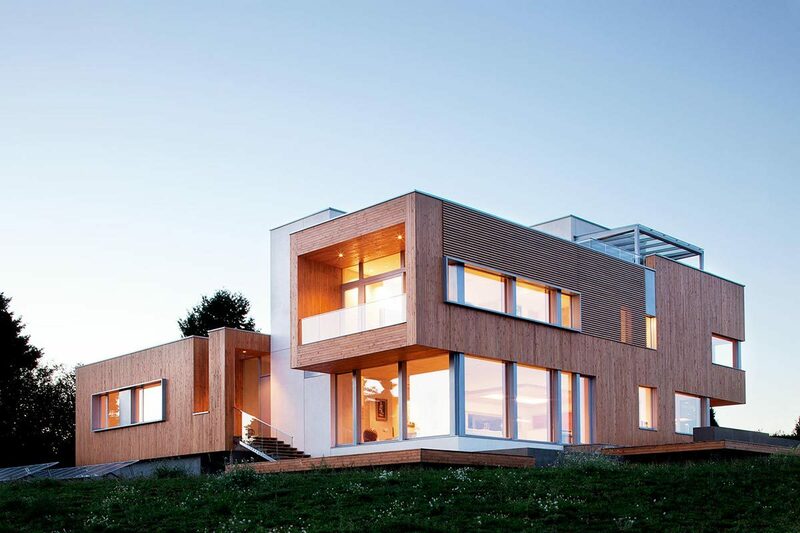 Super clean geometric lines are juxtaposed by staggered and seemingly random windows. We love how the staircase mirrors the rooftop tying together the top and bottom. Now for our favorite part! This part of the Vanglo House might be better suited to a luxury home in San Diego or Los Angeles but on those sunny Vancouver days when it isn't raining this lovely outdoor space sure would be nice! A seamless transition between the outside and inside of the top floor makes the outdoor space just that more inviting! Modern architecture is a fine art. 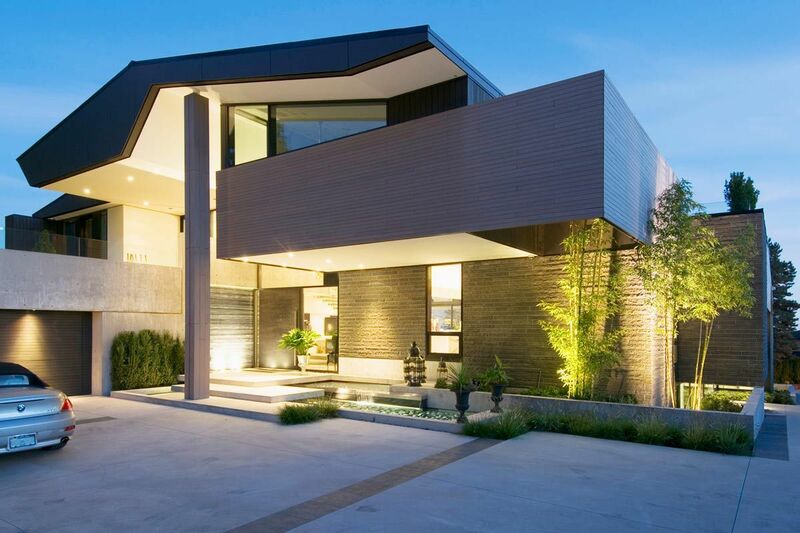 Mcleod Bovell excels at creating modern luxury homes in West Vancouver and the Groveland House is no exception. A nuanced outdoor space that you can spend hours, cozying up by the modern fire pits or soaking in the architectural sunken hot tub. 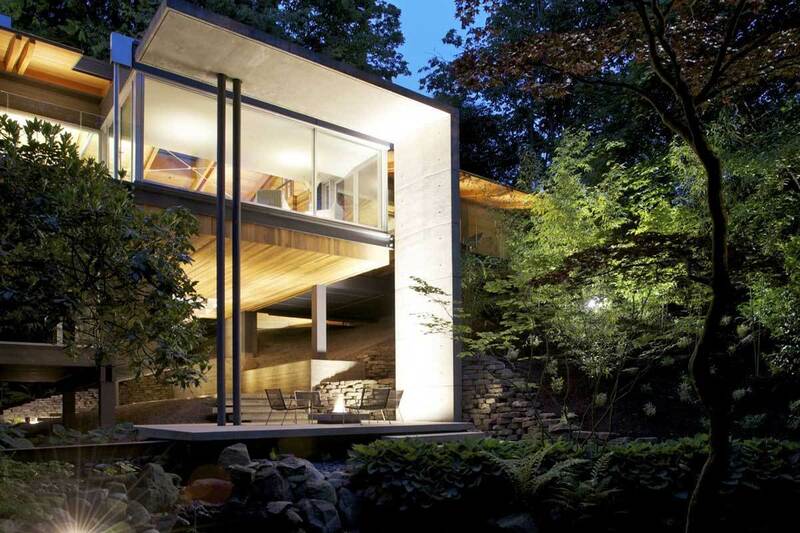 Floot to ceiling glass and a gorgeous roofline blend this home into the cascading mountains of Vancouver's Northshore. The front of the Groveland has a beautiful façade with dark siding and bright lighting which create an amazing silhouette. This 3,200 sqft home is tucked away in the forest and one with the elements. Vancouver is known for its mountains, oceans and nature. 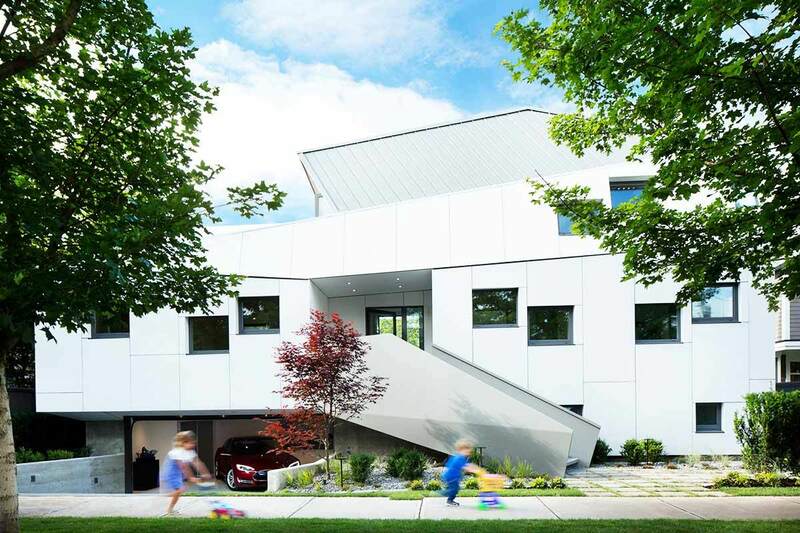 Alan Boniface of Dialog had the pleasure of designing this home in precisely that context. A fresh water creek runs through the home and culminates in a bank right in front of the lovely outdoor area. 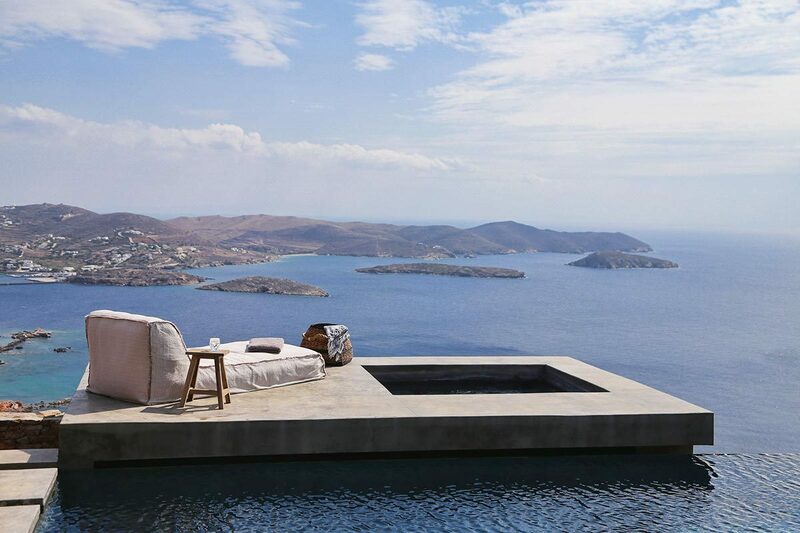 This creates an amazing space for residents to be surrounded by the elements. 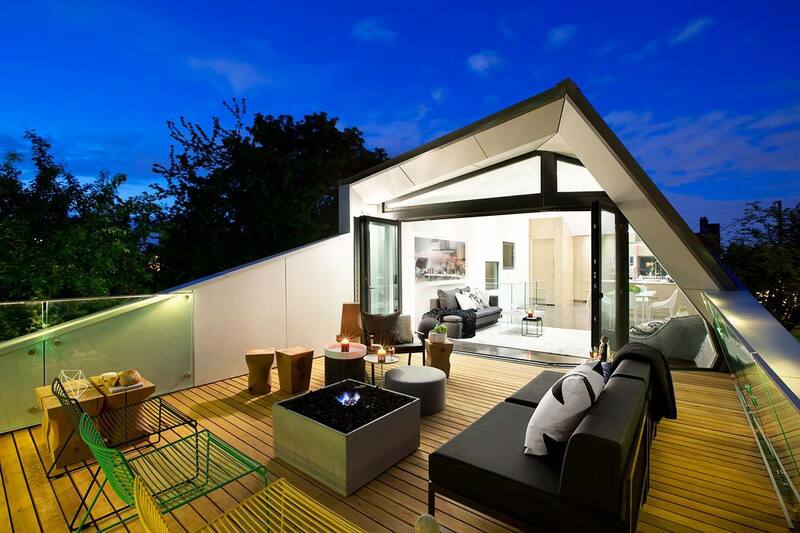 We love the extremely modern L-shaped shelter for the outdoor space.